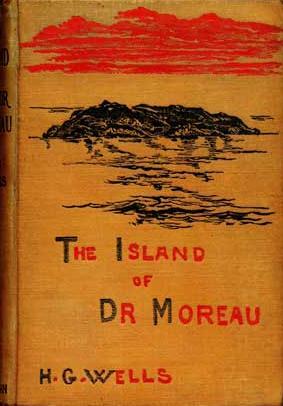 Download The Island of Doctor Moreau ebook. The Island of Doctor Moreau is an 1896 science fiction novel by English author H. G. Wells. The text of the novel is the narration of Edward Prendick, a shipwrecked man rescued by a passing boat who is left on the island home of Doctor Moreau, a mad scientist who creates human-like hybrid beings from animals via vivisection. The novel deals with a number of philosophical themes, including pain and cruelty, moral responsibility, human identity, and human interference with nature. Wells described it as “an exercise in youthful blasphemy”. The Island of Doctor Moreau is a classic of early science fiction and remains one of Wells’s best-known books. The novel is the earliest depiction of the science fiction motif “uplift” in which a more advanced race intervenes in the evolution of an animal species in order to bring the latter to a higher level of intelligence. It has been adapted to film and other media on many occasions. During his own lifetime, however, he was most prominent as a forward-looking, even prophetic social critic who devoted his literary talents to the development of a progressive vision on a global scale. A futurist, he wrote a number of utopian works and foresaw the advent of airplanes, tanks, space travel, nuclear weapons, satellite television and something resembling the world wide web. His science fiction imagined time travel, alien invasion, invisibility, and biological engineering. Brian Aldiss referred to Wells as the “Shakespeare of science fiction”. His most notable science fiction works include The Time Machine (1895), The Island of Doctor Moreau (1896), The Invisible Man (1897), and The War of the Worlds (1898). He was nominated for the Nobel Prize in Literature four times.